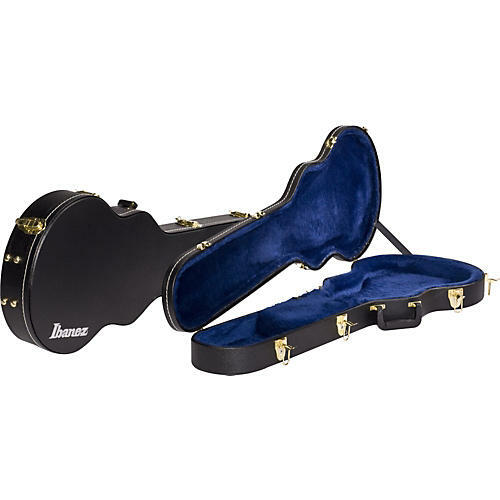 The Ibanez AR100C Hardshell Case is designed specifically to fit the unique shape of your Ibanez Artist Series guitar. Offering high quality construction with a plush interior and an interior compartment, the AR100C is a genuine case for your genuine Ibanez guitar. In fact, this guitar case was designed to cradle your mean machine for the most rugged and trying conditions. Will not fit model AR325. Generic look-alike cases designed to fit everything rarely fit anything right. The Ibanez AR100C hardshell case wears its name and its pedigree proudly. Other guitar cases may look like an Ibanez case, but if it doesn't say Ibanez on the outside, it isn't an Ibanez. Only Ibanez cases are designed specifically to fit and give maximum protection to your Ibanez guitar.